When we use your personal data we are regulated under the General Data Protection Regulation (GDPR) which applies across the European Union (including in the United Kingdom) and we are responsible as ‘controller’ of that personal data for the purposes ofthe GDPR. Our use ofyour personal data is subject to your instructions, the GDPR, other relevant UK and EU legislation and our professional duty of confidentiality. 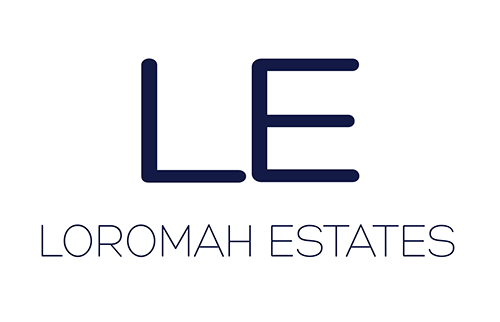 We will also confirm whether you have any relatives or close connections working at Loromah Estates Ltd so that we can consider potential conflict of interests and if identified how to manage these, in accordance with our statutory and regulatory obligations. We will collect a telephone number to get in touch with you about organising viewings. Specific access requirements so that we can find a property which is suitable for your needs. If you are a tenant renting under the ‘Right to Rent’ scheme we will collect details of your biometrics residence card, your immigration status document and,/or your birth certificate to carry out the required checks under the scheme. Processing that is necessary to improve our knowledge of the real estate sector— this will include undertaken market analysis and research so that we better understand trends in the property sector and provide better knowledge along with some more tailored and relevant services for customers in the future. Processing necessary for us to operate the administrative and technical aspects of our business efficiently and effectively — this will include: verifying the accuracy of information that we hold about you and create a better understanding of you as a customer; processing for administrative efficiency purposes such as where we outsource certain administrative functions to third parties who are specialise in such services; processing for network and information security purposes i.e. in order for us to take steps to protect your information against loss, damage, theft or unauthorised access or to comply with a request from you in connection with the exercise of any of your rights outlined below. We use your personal information for the purposes of fulfilling our obligations to you for the purposes of arranging a lease for you. We will share your personal data with third party referencing agencies for the purposes of the prevention and detection of crime, fraud and/or money laundering and checking your suitability to rent that property. We may share your personal information with any person working within Loromah Estates Ltd on a need to know basis to ensure we are able to perform our obligations to you. As a standard guide, all tenancy agreements, Council Tax, records, Personal ID and references will be retained for 7 years.